The Healthier Heart Farmer’s Market at Trinity (The Market) is a seasonal (summer) program which makes healthy and fresh produce available to our urban neighbors through the participation of regional farmers who accept: cash, EBT cards, Women, Infants, and Children (WIC) benefits, and Senior Farmers Market Vouchers. 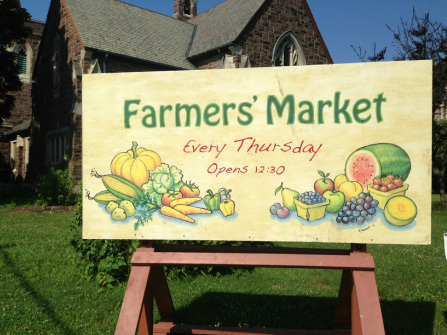 The Farmer's Market is generally open each Friday throughout the summer (dates will be announced.) 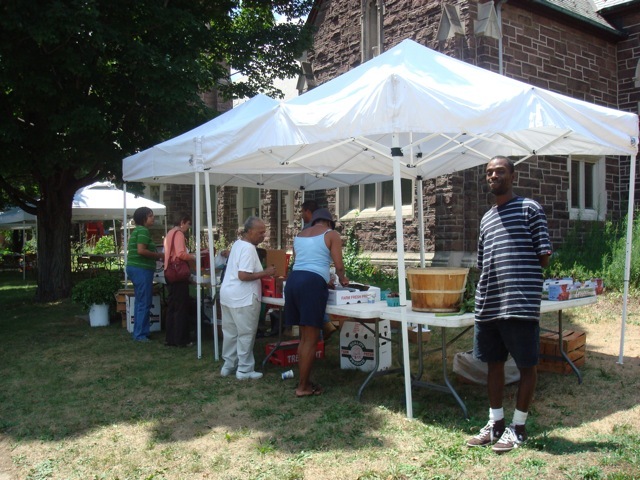 In partnership with local hospitals and community-based organizations, complimentary health screenings and educational materials are provided, and through cooperation with the Mercer County Office of Aging and Nutrition, The Market is also a convenient distribution site for Senior Farmers Market Vouchers – a program which allows eligible seniors to receive financial assistance for the purchase of Jersey Fresh fruits and vegetables. 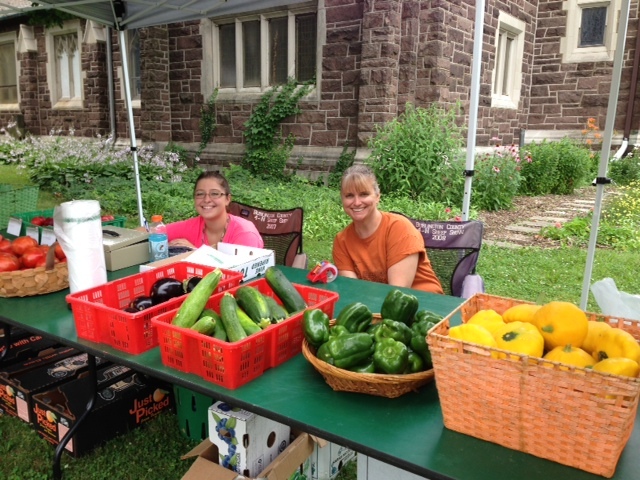 To further the cathedral’s mission of fellowship and hospitality, all visitors to The Market are served a free nutritious lunch made from local produce, with opportunities to attend regularly scheduled: “healthier eating” educational workshops, cooking classes, bible study, and organized prayer. Through this program, we remain persistent and faithful to the idea of “serving others” with pride and dignity.